CIGENTEC is an incorporated Company, owned and operated by its management since it's inception. The company was founded in 1974 and is 100% Canadian owned. Our offices and shops are conveniently located next to Montreal's Dorval Airport, approximately 10 minutes from the Air Terminal. CIGENTEC is a designer and builder of Electrical and Electronics Equipment. We are engaged mainly in the manufacturing of DC Power Systems and Battery Chargers. We also design and build other types of Electronic Equipment and Circuitry when they are needed as part of a complex Battery Charging or DC Power System. Examples of these are Timers for Battery Equalizing, Voltage Sensors and DC Ground Detectors for System Alarms and functions to mention only a few. On specific Customer request we also Design and Build various other types of Electronic Circuitry not directly related to our main field of activity. Our capability also includes the custom design, fabrication, painting, and finishing of Cubicles and Enclosures. This is of great importance when a special Enclosure configuration or finish is required. Our people are experienced in tailoring Enclosure size and configuration for optimum space usage and lowest possible cost. Our painting facilities use the latest Equipment and techniques. This includes baked enamelling, air dry enamelling and urethane finishing or polymer powder coating. If none of our standard Enclosures suit the purpose, Enclosures of virtually any size, shape and finish are available from CIGENTEC on a custom basis. In our years of operation since 1974, we've acquired a great deal of experience in a number of Battery Charging and Power Systems applications. 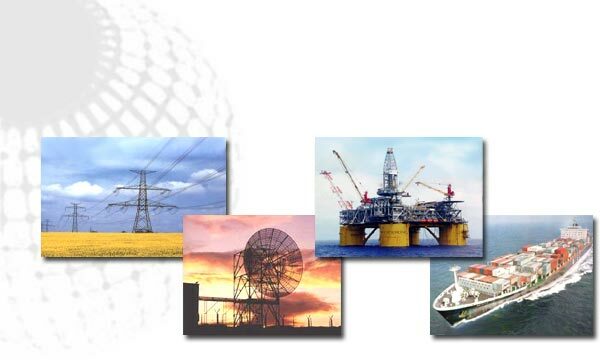 CIGENTEC is a respected name in the Power Utilities, Telephone Utilities, Marine & Land Communications Industries, and Large Industrial Installations markets. Although we have two successful lines of small stationary Battery Chargers, most of our work is of a custom nature with the requirements being user defined; we design and build to meet these requirements. To achieve this we use a combination of standard modules already designed and other circuitry specifically designed for the projects. We have worked on numerous types of applications throughout the world giving us the opportunity of seeing a wide range of demands for similar applications. We have Equipment in use in different climates and environments, from the Arctic to the Tropics. Most Chargers, regardless of the number of catalogued options are built and shipped within three to four weeks from order acceptance; many can be shipped from stock or within one week of order acceptance. In dealing in many parts of the world as we do, we have had to develop our own reliable System of QUALITY MANAGEMENT involving clear documentation, designs that are easily commissionned and serviced, with widely available spare parts to name only a few of the more critical elements. Each individual unit of Equipment we build is provided with it's own dedicated "USER MANUAL". For our standard models and for Custom models using only our catalogued options, this is done by putting together standardized texts developed over the years. The standard texts are reviewed periodically in order to assure continued accuracy and relevance. For Custom Chargers we develop additionnal texts pertaining specifically to the Custom features and circuits involved, usually requiring a complete rewriting of all sections. All manuals contain wiring schematics drawn specifically for the Equipment they accompany. In addition, we provide a wiring diagram that reflects the physical layout of the Equipment and indicates the origin and destination of each wire. Our Equipment is designed for maximum reliability under stated operating conditions. Every Charger is engineered to be easily installed, commissionned, and should the need arise, serviced or repaired in the field by qualified customer personnel. Components are labeled as required on standard models; all components are labeled or marked on custom models. The same symbols are used for labeling as on drawings so that reference is quick and easy. Only "Plug-in" components are used everywhere possible. The sequence of customer hook-up Terminals as well as the relative position of the Terminal Boards in the Enclosures are the same from one Charger to the next whether for Standard or Custom Equipment. Spare parts are always available from the Factory within a short time. Most parts are kept in stock and can be shipped within 24 to 48 hours. For even more convenience, all modules or parts that are purchased from outside sources bear the identification inscribed by the manufacturers. If the identification on the required part is insufficient, contact our Service Department and our people will be happy to provide you with the part or the needed information. As an additional service to users of our Equipment we guarantee the availability of spare parts for a minimum of twenty (20) years. All Engineering and Manufacturing information is also kept for a minimum of twenty (20) years. When enquiring about your Battery Charger, quote the serial number found on the nameplate. With this number we can find all information pertaining to the Equipment.